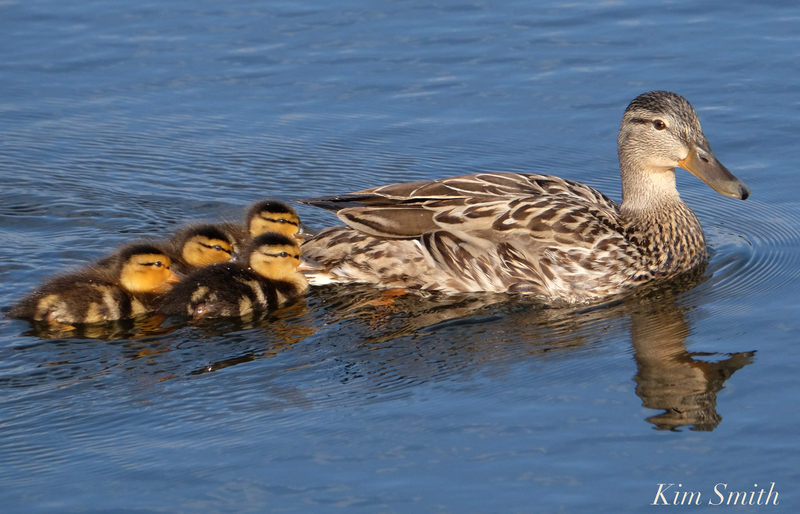 Without making a peep, from the dense patch of reeds on the north side of Niles Pond appeared Mama Mallard and four little ducklings. As long as I stood perfectly still and didn’t make any rustling noises, Mama didn’t mind my presence. 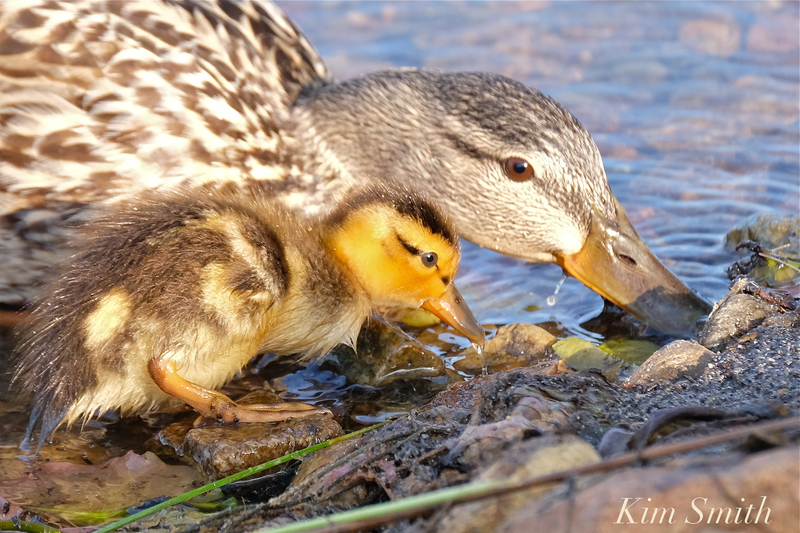 She and the ducklings foraged all along the edge of the pond, until they spotted the males. They quickly skedaddled, making a beeline back to the reeds and just as quietly as they had emerged, back they slipped into the shelter of the cattails. 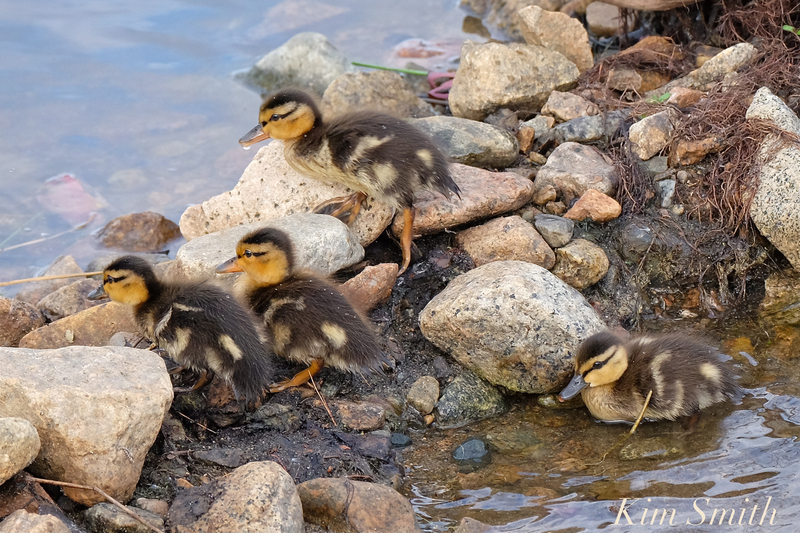 This entry was posted in Birds, Birds of New England, Cape Ann, Cape Ann Wildlife, Life at the Edge of the Sea, Niles Pond and tagged Anas platyrhynchos, Beautiful Birds of Cape Ann, female mallard, female mallard duck, Male Mallard, mallard ducklings, Niles Pond on June 3, 2018 by Kim Smith.